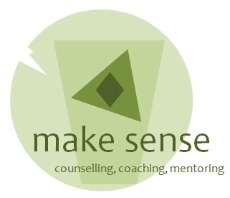 Some practical information on how counselling works. Each appointment lasts about an hour – usually 50 minutes. I will keep track of the time. It is important to arrive at the time of your appointment – that way clients arrive and leave with minimal risk of bumping into each other and this affords privacy to each client. Once an appointment time is arranged that will be the regular slot allocated to you. Sessions going forward will be organised at that time. There are times when an appointment may need to change and that is understandable. This may, for example be to accommodate shift work. During the first session I will ask a few questions which I ask all new clients and will make note of some practical information. There is also an opportunity for you in this session, and ongoing, to ask me questions about me, how I work, how counselling might help. After the first session if both you the client and I the counsellor agree that working together is going to be helpful then usually a contract of up to 6 sessions is agreed. This allows time to give the work a chance. Sometimes fewer than six sessions are required, sometimes more sessions are needed to help you achieve what you are looking for. Ongoing sessions are agreed jointly with regular check in to ensure the approach is continuing to be helpful. Payment is usually made at the end of each session, by cash or cheque. In order to fit in with personal budgeting other arrangements are also possible through discussion. A receipt of payment is available if required. If you are unwell or cannot attend your agreed session for other reasons 24 hours notice are required. Otherwise the agreed fee will be due to be paid. It is helpful to agree a preferred means of communication, should I for example fall ill and need to contact you. Preferably a telephone number although email is also an option. Each session is a space for you to explore what you wish to explore. You set the agenda and so I will invite you to open the discussion. It may take some time for you to feel comfortable to open up and let me know what is at the heart of your purpose in attending counselling. That is ok. Sometimes the relationship and trust can take time to build. At other times in can happen very quickly. I will respect you and your needs.